living room to put air mattresses or sleeping bags for kids. The decks are ample for hammock or sleeping bag accommodation. stereo sound system with Radio with CD and cassette tape player. The beautiful 18-hole Pinewood golf course is a few minutes away. Nightly: $165/night Summer and Holidays with a 3 night minimum. 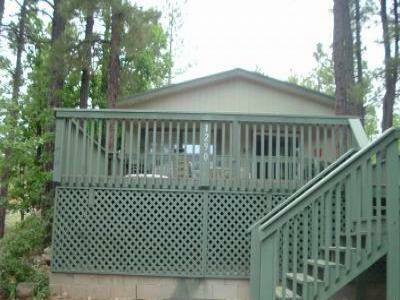 Weekly: $875/week (6 nights 7 days) May through September. of July, Labor Day, Memorial Day add $75 premium. require a $125/excess person per week increase in the rate. 10 days provided no damages or excessive cleaning required. 30 days in advance of check-in date.